The time has come for Zest Health to move onto a new premises. Myself and my family are relocating to Buckinghamshire for a quieter life in the countryside, with more space for my kids to play and be children. I have been working in Hanwell since 2009 and I can’t bear to say goodbye to the people I’ve met along the way! Some of whom, I have been treating for 9 years! I have secured a place to work from just around the corner from the old house. 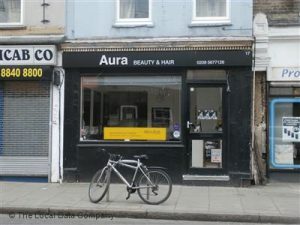 I will be setting up in Aura Beauty, which is on Boston Road. The shop is located near to the local mini cab office and is opposite West London Ink and Doyles Estate Agents. I will start work at the new shop on Monday June 11th.